Home › Activism › The Deer at Teatown Need Your Help! Tucked away within the peaceful woods of Northern Westchester, N.Y., behind the beautiful, historic farmhouses and winding nature paths, lies an impending bloodbath. This month, sharpshooters will be culling 75 deer at the Teatown Lake Reservation in Ossining, NY. The so-called nature conservatory claims that the deer are killing the reservation by eating the foliage and wildflowers that once grew there in abundance. 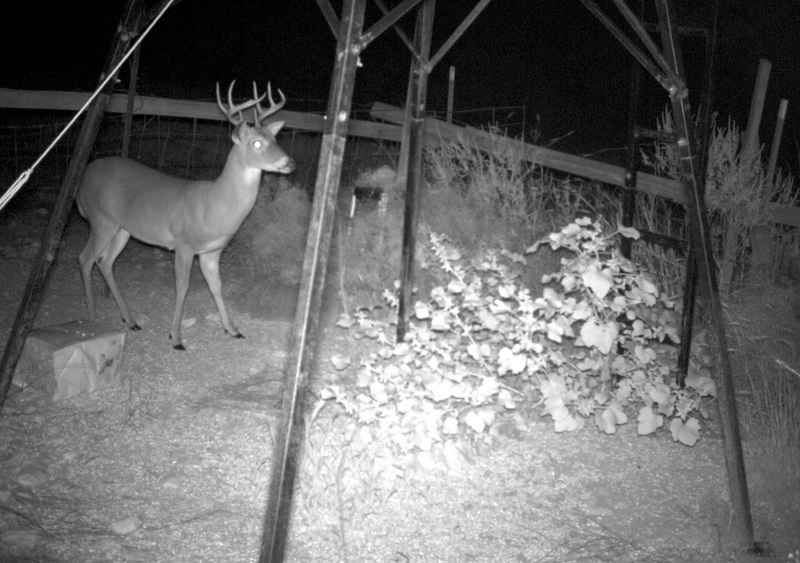 Specially trained biologists with the U.S. Department of Agriculture will shoot deer over several nights, using bait to entice them and night-vision equipment to see them, according to federal and state permits. The meat will be donated to charities that distribute venison to the hungry. Of course, the wealthy neighbors whose large homes surround the Teatown property agree that the deer population is out of control, and that the decrease in shrubs and trees has resulted in less bird life. Furthermore, residents claim that reducing the deer population will also reduce the number of car accidents and fatalities along the Taconic State Parkway which runs through Westchester and is surrounded by woods. I grew up in Tarrytown, which is all but a ten minutes drive from Teatown. I visited there with my school, with my family on weekends, and with friends during parties. I walked their nature trails, bought souvenirs in their gift shop, and stared for hours at the rehabilitated owls in their preserve. I felt the need to post about this because although many citizens of Westchester are furious about this, Teatown refuses to respond to any criticism that is posted to their Facebook page. As a matter of fact, all comments and posts were deleted almost immediately after they were composed. Now I understand that they don’t want to deal with an angry mob, however, it’s Social Media Best Practice #1 that you never delete posts, even if they are challenging. Teatown’s refusal to engage in any type of conversation about their decision is unacceptable to me. 1) Hunting deer does not decrease their population. Were that true, there would be nearly none left given the fact that bow-hunting is an extremely popular sport in Westchester. 2) Reproductive rebound. With all the scientists and government officials who are supposedly knowledgeable about a situation such as this, none have thought or read about this? If you’d like to, check out articles here, here, and here. In the book Primate Life Histories and Socioecology, the author writes that in another species of mammals “populations are maintained less through the ability of adults to survive droughts and other natural catastrophes than the the rapid reproductive rebound of those that do survive.” The same rule applies to deer. A better and more humane way to control the deer population would be through sterilization through a dart injection. Hastings on Hudson, another Westchester town, will be attempting this method this winter. While I appreciate their consideration to adopt a gentler approach, I still take issue with the fact that porcine zona pellucida, the ingredient used in the birth control shot, is harvested from the ovaries of pigs in slaughterhouses. So while it may seem like a cruelty-free option on the surface, they are really just borrowing from Peter to pay Paul. 3) The citizens of Westchester are to blame for the abundance of deer. With huge and ornamental homes, condos, and gardens, it’s no wonder the deer stick around. They are providing them with a smorgasbord of food that is undoubtedly richer than one they would have to forage for themselves. Not to mention the fact that the puzzle of highways that we have created runs directly through deer territory. Westchester is literally packed like sardines, it’s becoming like Manhattan — where on Earth do we expect the deer to go? 4) Rifle hunting is illegal in Westchester County. 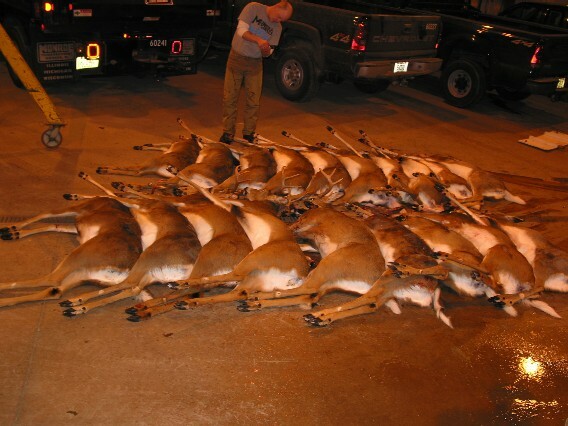 Why is it okay for the government to break the law to initiate this unnecessary slaughter of deer? To conserve open space and to educate and involve the regional community in order to sustain the diversity of wildlife, plants and habitats for future generations. 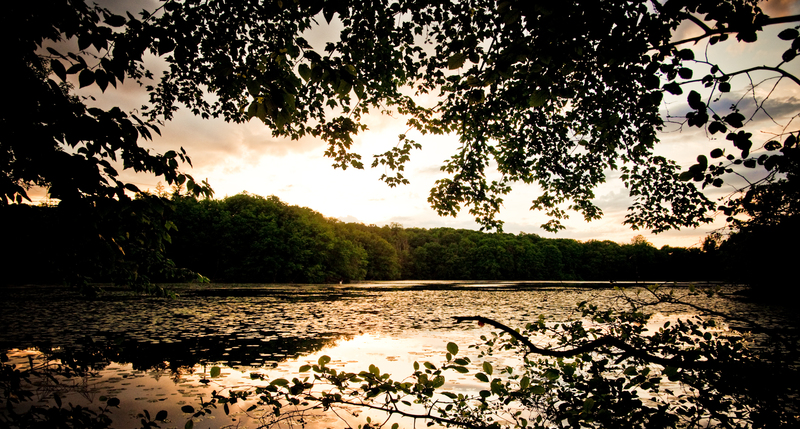 We are devoted to conserving biodiversity, teaching ecology and promoting nature-friendly living. What type of environmentally conscientious education center would promote this type of behavior? Furthermore, where do we stop? USDA Wildlife Services already rounds up and kills countless geese in the metropolitan area. As I was reading the original article in the Journal News, I noticed comments stating that this culling is long overdue, particularly given the amount of vehicle accidents on the Taconic State Parkway. So now whenever there is any type of inconvenience, the answer is to just kill? What an excellent example to set for our children — if something is a nuisance, you can simply excise it. Guess what – we live in a suburban area. With wildlife. My cousin lives in Maine and has to avoid moose on the road. He actually totalled his car from hitting a moose a few years ago, and he’s not alone. And guess what? Maine’s solution was to install special lights to help commuters avoid hitting these animals while on the road. As for all that venison they are promising charities? Think again. Federal law does not require venison to be inspected under the federal meat inspection law. Therefore, it may be refused from charities who deem it unworthy of human consumption. See the case of the Irondequoit, NY bait-and-shoot program, during which they planned to donate the venison to Attica prison. Well, the prison didn’t want the deer meat, and it was discarded. Teatown needs to hear from you. Although it’s clear you are very passionate about the welfare of animals, It is also very clear that you are largely swayed by articles that appeal to you and may not be entirely reputable. Simple math, if you remove a percentage of the deer population by hunting them, you are, in fact, insuring that those deer do not breed and therefore re-populate. Two deer can spawn up to 35 more deer in 7 years. The rising deer population has done a large amount of damage to the structure of the ecosystem in the local area, They rarely leave their area and this causes a limited food source, they would starve to death if this kind of population rate continues. They are also causing a wider spread of deer ticks which carry Lymes disease. It is true that there are birth control methods that can be used to inhibit the birthrate of deer born in the years to come but they have only proven mildly successful and also they have not calculated the potentially harming effects these drugs could take on the gene pool of the deer. As mentioned in the mission statement, Tea Town is striving to sustain the diversity off the wildlife for future generations” Although this may seem like a “bloodbath” or “savage attack” to you, they are doing what they need to do in order to protect the diversity of the wildlife, and the welfare of the area. Furthermore, the fact that they have found a socially responsible way to ensure that the meat doesn’t go to waste is even more reason to respect the good that they choose to do. Also, I am a volunteer for ASPCA, supporter of the Wildlife Conservancy and Vegan. I know because I have done research, I have visited the woods, I have seen the massive amounts of deer that are destroying the area, that Tea Town Is doing what they need to do in order to maintain and protect the future of the woods there. I am including links to articles that support this theory So perhaps before jumping to conclusions you could read them and speak with a more educated sense of the situation. You may not change your mind but maybe you will sound less fluffy and more creditable. The United Kindom also suffers from overpopulation and goes through different methods. I agree with Sophie, sorry. Unless you’ve spent a bit of time outside lately you may not be aware of the amount of deer that are in the area. There isn’t enough environment to support them. It’s also good they are using rifles, because bow hunting in general can take up to 4 hours before the animal dies. Sharp shooters are used to make sure the death is as painless as possible. The remaining deer will have a much happier existence. John, I have spent nearly my entire life outside. I grew up in Sleepy Hollow, moved briefly to Garrison before back to Sleepy Hollow again. I have had dogs and hiked my whole life, and have traveled from Garrison to Purchase on a regular basis, so I’m well aware of the deer both on the highways and in the woods of that area. Yes, sharp shooting kills them faster, but you are missing the larger issue which is why we feel the need to kill these animals before attempting other methods of conserving the wildlife. It’s like telling someone who is against the death penalty that getting the needle is better than getting the chair. I love that you discredited Teatown for deleting comments which is a “no no” But you deleted mine. NM, I apologize, I see it on the feed now. Sophie, the reason that your comment wasn’t immediately published is that it contains links which needed to be screened for spam. I never delete comments unless they are blatant spam. Anyway, I thank you for your reply, even if you did call me “fluffy.” To answer a few of the issues that you address – why not simply fence off wildlife flower areas in Teatown so that they are inaccessible to the deer? I was under the impression that Teatown was initiating such a project, but I don’t know what came of it. Apparently, they chose not to fence the property. And which deer will be culled? The old and weak – the young bucks? Are they going to differentiate? And I’m sorry, I have to laugh at the fact that the government document that you provided resists the contraceptive method because they are afraid the drug would end up in the deer meat that would be distributed to charities. Are they not aware of the dangerous amount of antibiotics that appear in meats in any given grocery’s freezer section? Additionally, will the FDA be inspecting this meat before it rations it out to the poor? I understand your point about sharpshooting being more ethical than bow-hunting. But how is baiting and killing deer which may not even be residents of Teatown’s property any more humane? The larger question is whether or not they need to jump to such a severe “solution” right away. To answer some of your questions, There are in fact fences up at Teatown, obviously you have not even been there in a while if you aren’t aware of that. It’s not just the many species of rare or almost extinct wildflowers that are in danger as has been continually been stated, those have mostly been protected on wildflower island. The major issues that the plant population comment is addressing is the fact that due to over population and overfeeding the forrest is struggling to maintain it’s natural balance, if it cannot do that- it cannot be. The fact is that the contraceptives are not totally effective in preventing the birth of fawns, the off spring born could then pass the drugs down and the worry was that there is no extensive research done to know how that will effect the deer population in the long run. There isn’t even enough information to be certain that the deer originally shot up with the drug will be safe in the long run. This so called “Bloodbath” Is going to help restore the natural balance to the local wildlife. It is even going to provide the rest of the deer with more food and a healthier environment to flourish in. Lastly, If you knew the amount of effort that the staff and volunteers go into every year just to keep the local wildlife safe and protected you would know that this is a drastic step that Im sure none of them are enjoying having to take, the fact is, you are not a Naturalist, a Biologist an environmental scientist, I doubt your even an avid outdoors person. YOU HAVE NO IDEA THE REASONING BEHIND IT. You are an animal lover and the world needs a lot of you! But the world has enough of people throwing around opinions without first hand experience including being familiar with the area. As for your remark about the deer meat being served without being inspected…. really? You really think thats a possibility? Especially with all this negative publicity they are dealing with for doing something that is probably the most responsible choice they have? Oh also, deer stick to their own area so the baited deer will be from that area… The best part is seeing all the ladies wearing UGGS out to protest animal cruelty issues. Issues they probably know so little about. Why don’t you actually go to Teatown and Investigate. In fact, I challenge you to spend an afternoon there and report back, Learn first hand why they are doing this NOT why you THINK they are. And to say they chose this solution right away directly contradicts your comment saying they had researched fences. This has been a long time in the making. I would like some public statement from Teatown explaining why they are doing this and why all other measures have already been exhausted. If one exists and I somehow missed it, then it’s my own fault. Of course I’ve seen fences at Teatown but how would I know which are to keep the deer away from the flowers? To answer your question about the venison being served without inspected, yes, it happens. Federal law does not require venison to be inspected under the the federal meat inspection law, which is why it’s not for sale everywhere. Venison from Irondequoit’s bait-and-shoot program that was donated to Attica prison, was thrown away after being considered unfit for human consumption. Sophie, we are going to agree to disagree on this, because you don’t actually know me at all. You have no idea what I do, if I wear Ugg boots (I don’t, for the record, wear any animal products, although I shouldn’t really have to justify that given the title of my blog), how much I know about animal activism, or even if I’m an outdoor person. I’m not engaging in an argument on my blog about something when it’s clear that neither party is going to change their mind. Katy, I am so on your side! I moved to this area because of it’s beauty and enjoyed all the wildlife for 45 years.There are other options and if they had informed us members or the community about this beforehand, I would have been happy to spearhead a fund drive to erect more fences. Fertility control is actually a proven and successful approach for managing the population of white tailed deer. This is NOT opinion, but a data driven fact, as reflected in peer-reviewed scientific publications in respectable journals. Thank you for your comment. Do you live in the Teatown area? Did they have any town hall style meetings to discuss this before they went ahead and made the decision? I’m just curious because I hadn’t heard of anything building up to this, but I no longer live in the immediate are so I’m a bit out of the loop in terms of board meetings, etc. I live very close to the Teatown property. I am a member of Teatown, and there were no notifications or public meetings leading up this. I found out by accident, and no one in our local area network knew about it either. The Food Bank was not aware of any impending donations and said that they only take donations from the Bowhunters group. A call to a member of that group also made it clear that they were also not aware of the impending culling program. Which Food Bank is it, if you don’t mind my asking? Interesting that they accepted donations from the bowhunters, I know that usually places like that are very picky about where they obtain there food. Walk through the woods in Westchester. Notice how you can see so far? Go anywhere else in the state or surrounding states that have a more active hunting culture that includes rifle hunting. How about the Gunks? The Adirondacks? Deer over-population and lack of apex predators allow them to stay stationary and graze shrubs down to the ground. Learn your horticulture and find NATIVE plants/trees UNDER 6′ in height. There are practically none. The shrubs that are there are invasives. Winged eponymous, barberry, bittersweet, porcelain berry, etc… I’ve lived all over the country and backpacked extensively. The woods in Westchester are beautiful and unique because of how far you can see but that comes with a price. At some point our adult trees are going to come to the end of their life time and there are no immature trees growing up to take their place. In another hundred years the woods of Westchester will be gone. Look at the long-term impacts. Well then maybe they shouldn’t build gigantic houses throughout the woods like they have been over the last fifteen to twenty years. I understand that your end goal and mine are the same – we both want the wildlife in Westchester to be preserved, however they should also be looking at the glaring other reasons why the deer are being pushed towards places like the Taconic State Parkway. I don’t mind your commenting at all – in fact, I welcome it. But if we both have clearly different opinions there’s no point in continuing to argue just so one of us gets the last word in. I understand that you feel passionate about Teatown, and believe me, having grown up in the area I truly hope that the woods and parks of Westchester will persevere despite all of the HUMAN threats like over-population and over-building, not to mention building on the superfund site of the old General Motors plant. Also cover issues of geese, coyotes and more. It may seem counter-intuitive for a nature preserve to kill deer, yes. It is a time-critical crisis situation. We caused this problem of deer overpopulation by removing the natural large predators of deer and creating acres and acres of edge habitat in suburbia ideal for deal. Up to us to solve it and quickly.